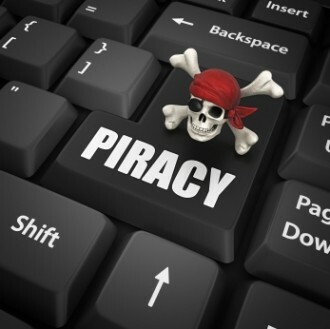 A French court has ordered a man to pay €150 for breaking the country’s controversial three-strike anti-piracy law, Hadopi, despite his soon to be ex-wife testifying under oath that she was responsible for downloading the two pirated songs in question. Alain Prevost, a 40-year-old man from a small village in a rural area of eastern France must pay the €150 ($195) fine after his wife downloaded two Rihanna tracks. He chose to represent himself in court and based his defense on the fact his wife was responsible. However, in doing so he ended up incriminating himself by admitting he had known what was going on and had done nothing to prevent it. The prosecution is required to prove a person is guilty of downloading the infringing material, but Prevost handed them all the evidence they required to get a conviction. Jérémie Zimmerman of the French digital rights group La Quadrature du Net condemned the verdict. “This is pure harassment and intimidation of this poor chap who doesn’t even know what happened to him, and shows the absurdity of the whole scheme […] Actually, Hadopi cases are completely empty of any evidence, with only IP addresses collected by private companies that no judge could ever accept as valid,” he said in an emailed statement to Ars Technica. The law has proven unpopular in France following its 2009 introduction during President Nicolas Sarkozy’s tenure. He is a strong supporter of the legislation, though rather interestingly, his wife is a popular recording artist, which has led some to question whether she influenced his views. The new government under President Francois Hollande has indicated that Hadopi may well be withdrawn. As it stands currently, those downloading pirated material are given three warnings before they face prosecution. Hadopi argues it gives those infringing plenty of time to mend their ways. Only 30 internet users ignored the third warning, yet Hadopi is only taking 14 of those to court. Prevost’s ruling is the first of those 14 due before the court.